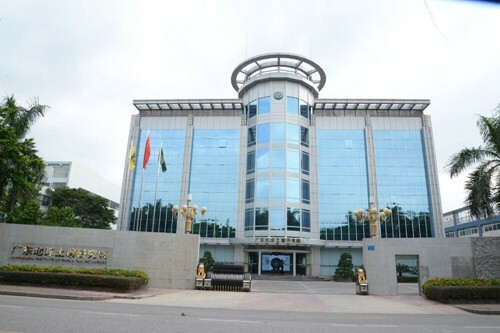 Guangdong Institute of World Soil Resources founded by Hongda Xingye Co., Ltd. (Stock Code: 002002) is a non-profitsoil research institute which acquires the qualification certification from national inspection and testing agency. Since its inception, the institute has done a lot of scientific researches on the sustainable utilization of soil resources, soil improvement, soil pollution control technologies and development mode. It provides the society with technical advice on soil improvement, detection and analysis service on soil and water quality. In order to promote the new technologies for soil improvement and control, the institute actively carries out the international cooperation and exchanges on soil improvement, deepens the researches on soil samples and specimens at home and abroad, and strengthens the promotion to raise people’s awareness in protecting soil safety. Guangdong Institute of World Soil Resources makes great efforts in enhancing the cooperation between producers and researchers, and it integrates production with relevant studies. The institute has a talent pool of experts working in the field of soil amendment and environmental engineering. It also engages national well-known experts to provide technical instructions on soil improvement. Chinese Soil Herbarium owned by Guangdong Institute of World Soil Resources is one of the soil herbariums with the richest collection which integrates the research value with science popularization. Its products mainly include: displayed soil specimens, bottled soil sample libraries, micro box soil sample libraries, and related databases. As the precious wealth of Guangdong Institute of World Soil Resources and the society, these are regarded as a reference for analysis and classification research, and have the permanent preservation value. Guangdong Institute of World Soil Resources has responded to the policy guidance of green development, resource conversation, and environmental protection. Relying on the financial strength of Hongda Xingye Co., Ltd., the technology advantages in soil improvement and rich experience in promoting agricultural resources, the institute is devoted to doing researches on soil prevention and improvement technologies, expanding the varieties and application ranges of soil improvement products, pushing the development of soil improvement industry.